He publishes that memoir, Skylock, to great acclaim, and its success takes him on the road, and out of Eli's life. 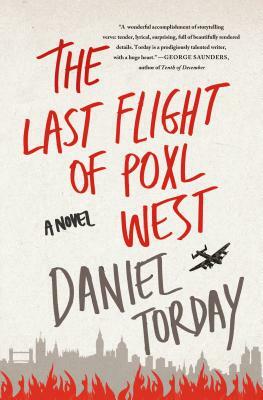 With his uncle gone, Eli throws himself into reading his opus and becomes fixated on all things Poxl. DANIEL TORDAY is the Director of Creative Writing at Bryn Mawr College. An author and former editor at "Esquire "magazine, Torday currently serves as an editor at "The Kenyon Review." His short stories and essays have appeared in "Esquire, Glimmer Train, Harper Perennial's Fifty-Two Stories, Harvard Review, The New York Times" and "The Kenyon Review." Torday's novella, "The Sensualist," won the 2012 National Jewish Book Award for debut fiction.